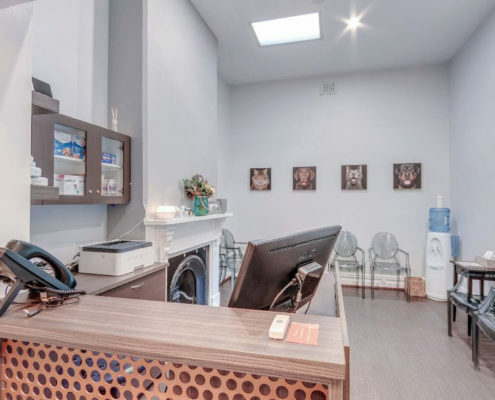 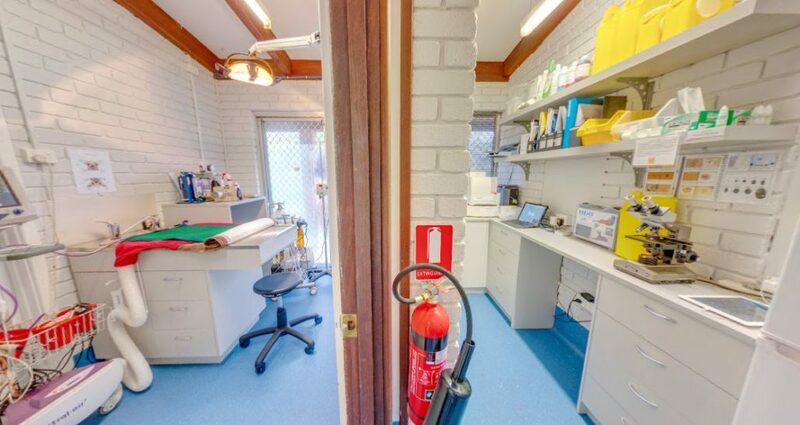 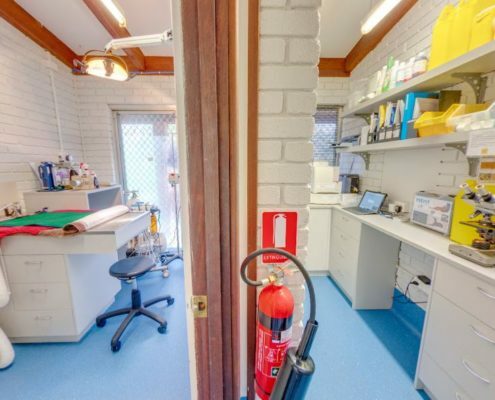 The Vet Connection is a busy veterinary hospital in East Fremantle with a loyal following. 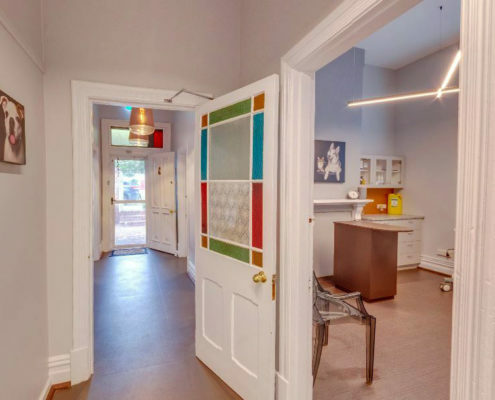 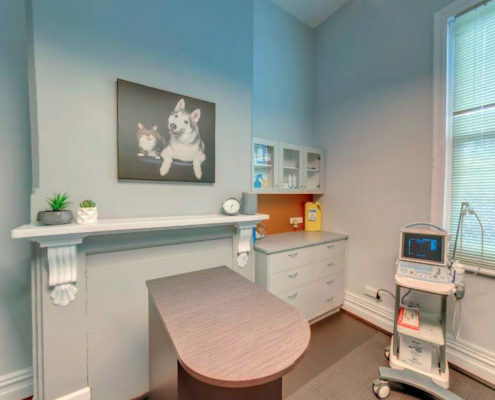 The much loved clinic resides in an older heritage home, with ornate fireplaces and character trim. 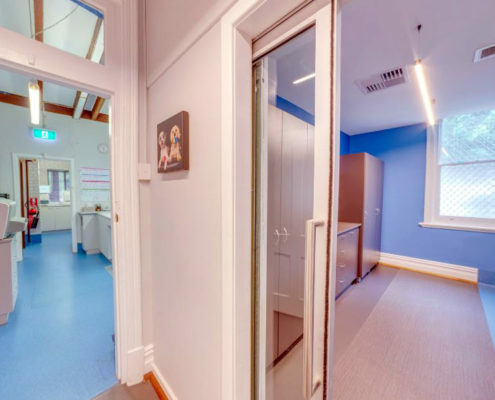 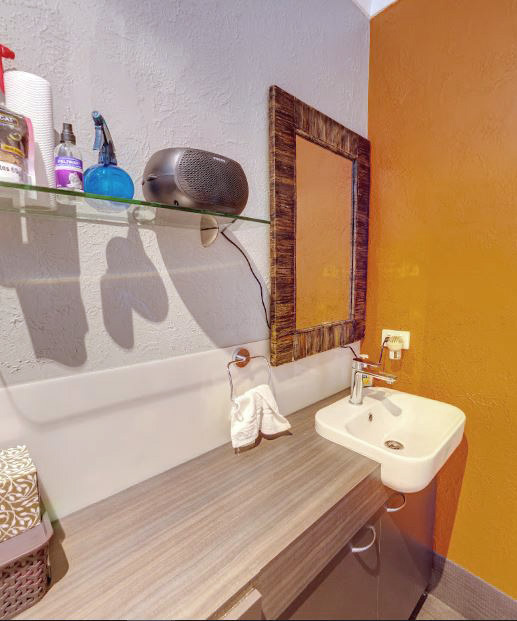 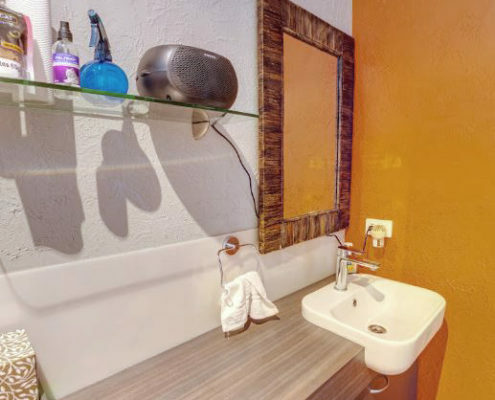 However, it needed to be renovated to use the space more efficiently and facilitate growth. 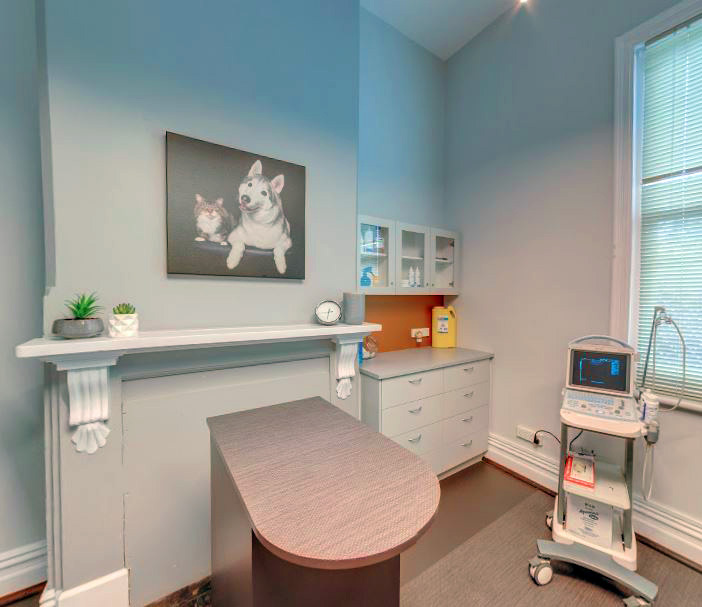 Aesthetically, the goal was to “not look like a vet hospital”, but convey a feeling of luxury for both clients and their pets. 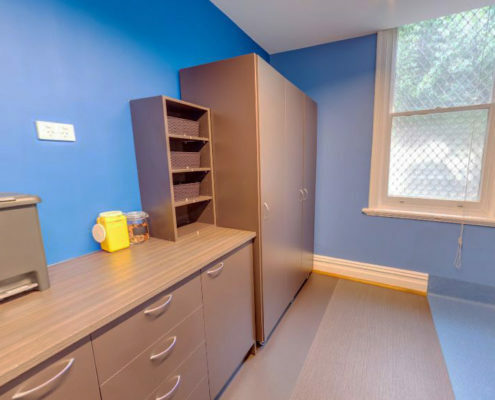 Operationally, each space needed to allow for multiple uses and activities. 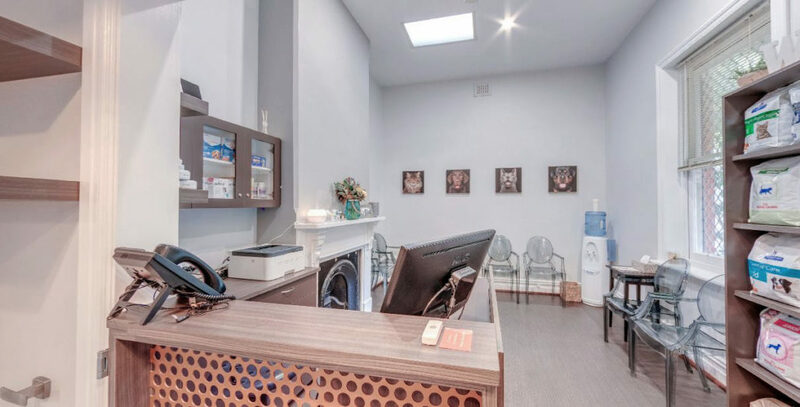 For example, the reception and waiting area needed to transform into a puppy playschool on the weekends. 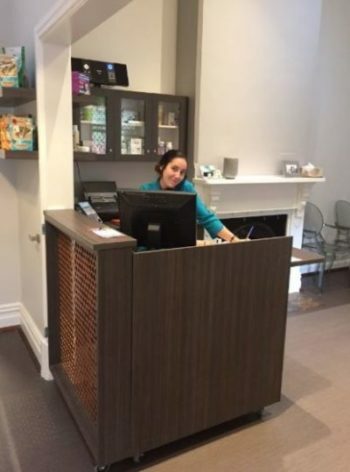 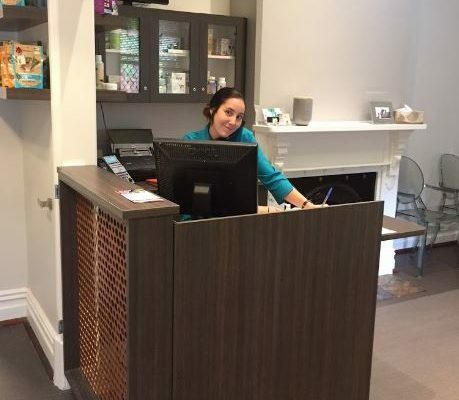 The solution was a reception desk that could easily reconfigure and become wall shelves, allowing a large open space for puppy play. 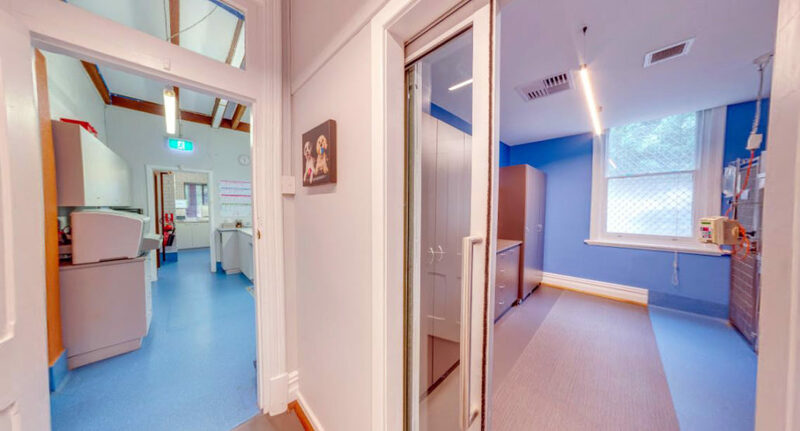 Vinyl flooring to the front of house was designed to appear like carpet with feature borders rather than the standard anti-slip vinyl. 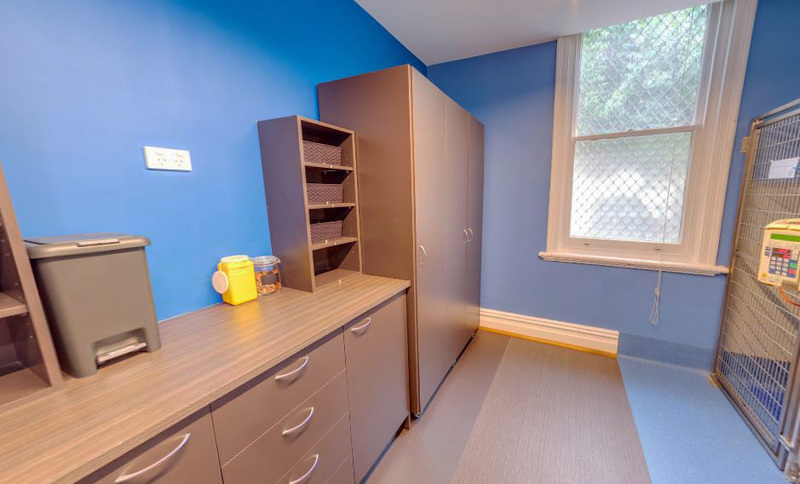 This then transitioned into highly durable sheet vinyl for the treatment areas at the back of house. 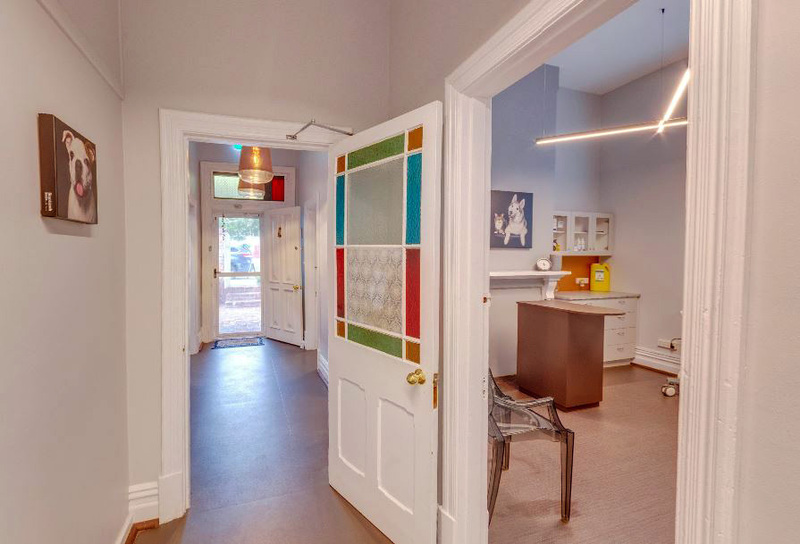 Glass pendant lights and feature LED strip lights add to the upscale hospitality feel. 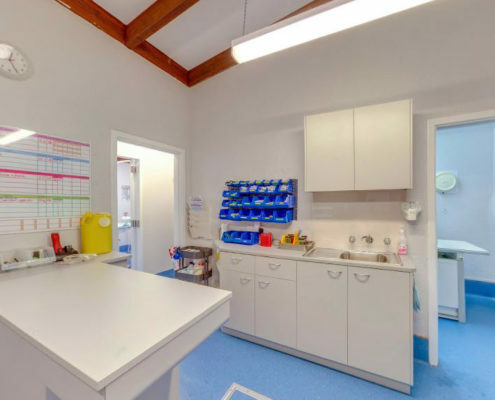 The treatment rooms and surgery were replanned for optimal functionality, with adjacencies being critical for this very busy hospital.